"Anything is possible," says Ironman. On Jan. 27th, Xolani Luvuno proved that. 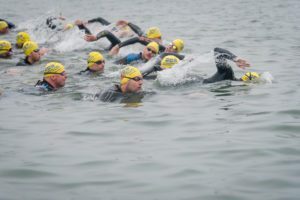 The 2019 triathlon season is well underway. Already, at the end of January, we’ve had two Ironman 70.3 races and a top-five finish from Taylor Reid. On Jan. 27th, in Buffalo City, South Africa, Ironman 70.3 South Africa concluded on a very emotional note. Xolani Luvuno, a cancer survivor, was the last finisher of the 70.3 race and celebrated it in true Ironman fashion. In 2009, Luvuno lost his right leg to bone cancer. Most recently, before Luvano crossed the line in Buffalo City, he finished the 90K Comrades Marathon in 2018. This is likely not the last of Luvano’s endurance feats, he has mentioned in a few interviews after the Comrades Marathon that he plans to complete an Ironman.